Dr Richard Oxenbould established Forster Dental Centre when he purchased an existing dental surgery from Dr Michael Rossell, an experienced dentist who still works at the Centre. Dr Oxenbould graduated with an Honours Degree in Dental Surgery at University of Sheffield in the UK. His wife, Louise Oxenbould, also from the UK and graduated with an Associate Degree in Dental Hygiene in Australia. 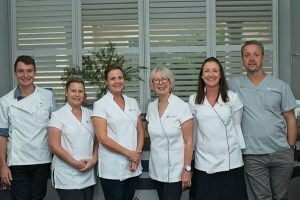 Dr Richard Oxenbould first arrived in Forster as a backpacker in 1993, where he originally worked for the previous owner of the dental surgery. But the beauty of the Great Lakes region left its mark on Dr Oxenbould and his wife Louise and they later returned to call Forster home for good. 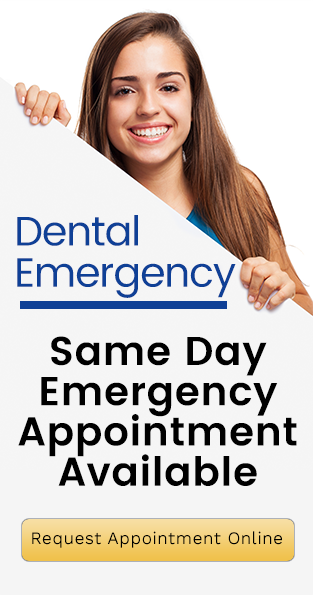 In 2003 they established their own dental practice working as your local Dentist in Forster. Dr Oxenbould has a combined experience of 25 years in all facets of dentistry; including cosmetic dentistry, mini dental implants, Invisalign, tooth extractions, Zirconia crowns and Zirconia bridges to name but a few. Dr Oxenbould also gained 12 months Senior House Officer experience in Maxillo-Facial and Oral Surgery. When not caring for his patients Dr Oxenbould enjoys spending time with his family, staying fit and enjoying landscape gardening. Louise Oxenbould is the wife of Dr Richard Oxenbould. She graduated with an Associate Degree in Dental Hygiene in Australia. Together they have two beautiful children. When Louise is not looking after your dental hygiene and keeping your teeth clean and healthy, she loves to crossfit and get out and explore the beauty of the region soaking up the sun and waterways! Shirley ensures that everything runs smoothly. She takes care of all your dental appointments and any questions you made have. Shirley is there to help and make booking an appointment at Forster Dental Centre a breeze. Shirley is an institution and known by many, if not all, of the locals in this beautiful region. Experience quality care delivered by our skilled team in Forster. We’d love nothing more than help you achieve the smile you deserve.